It is the mail and should be in the DMin office in a couple of days. I have a feeling that it will need some more adjusting! We will see! After the morning worship service, I headed to Panera Bread to work on finalizing my thesis. I stayed there for five hours. After dinner with our small group, I worked a couple more hours on it. I have until May 5th! There is still more to be done. The plane tickets are purchased for my May 9th graduation!! Do We Enjoy Being With Other Christians? The physical presence of other Christians is a source of incomparable joy and strength to the to the believer (Life Together, 19). The believer feels no shame, as though he were still living too much in the flesh, when he yearns for the physical presence of other Christians (19). Communal life is again being recognized by Christians today as the grace that it is, as the extraordinary, the “roses and lilies” of the Christian life (21). Fellowship is the “roses and lilies” of the Christian life. Our Fall theme is; “Get a Life!” The Dietrich Bonhoeffer story fits better with a “Give a Life” theme. Yet, as Christians, we know what Bonhoeffer knew (and what Jesus taught and practiced); that to get a life, one must give it! No, this is not an excerpt from a Harlequin romance.These are the impassioned longings of a champion of radical Christian discipleship, Dietrich Bonhoeffer, as he wrote from a Nazi prison to his young fiancee, Maria von Wedemeycr. Instead of living happily ever after with his beloved Maria, he was eventually executed for treason. Dietrich Bonhoeffer (1906-1945) had a brilliant career in theology ahead of him. At seventeen, he began his studies at Tubingen, Germany. He earned his doctorate in theology from the University of Berlin at age 21. Then, at 24, he qualified to teach there. When Adolf Hitler took power, many pastors and theologians yielded to Nazi interference in church affairs. Not Dietrich. For him, there could be no German-Christian compromise with Hitler. He signed the Barmen Declaration, which declared independence from Hitler’s state and from the co-opted church. He helped create the independent “Confessing Church” in Germany. 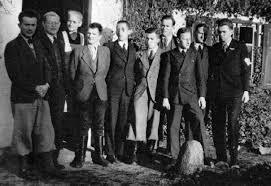 In 1943, Bonhoeffer’s record of resistance and his involvement in smuggling Jews out of Germany safely into Switzerland (the “U7” operation) got him arrested. Just before he went to prison, he became engaged to Maria. He wrote love letters from his cell but his plans were never to be. After two years in prison, it was learned that he played a part in a failed Hitler assassination attempt. He was executed by special order of Heinrich Himmler on April 9, 1945 at the age of 39, just a few weeks prior to Hitler’s death and the end of World War II. Getting a life is something you cannot do alone. The Christian classic, Life Together, by Dietrich Bonhoeffer, outlines the essential principles of Christian fellowship, gleaned in the backdrop of the pre-war German underground. At a time when Hitler’s hate was on the rise, Dietrich lifted up Christ’s love both on paper and as a pastor within a community of faith. He believed that God bestows brotherhood upon us for a reason: We are our brother’s keepers. Some aspects of Bonhoeffer’s late theological writings may seem controversial or unclear, but Life Together is about as solidly biblical as anything he wrote. His Christ-centered premise is as follows: “Without Christ there is discord between God and man and between man and man . . . Christ opened up the way to God and to our brother.” (p. 23). In Christian fellowship, we mediate the presence of Jesus to each other. The Christ in one’s own heart is weaker than the Christ found in fellowship. Bonhoeffer begins Life Together by quoting the Psalmist; “Behold how good and how pleasant it is for brethren to dwell together in unity.” (Psalm 133:1). At a time when there was precious little in Germany that was good and pleasant, he saw and experienced the sweetness of Christian fellowship. Life Together offers a healthy taste of practical theology. Don’t look for fanciful dreaming about the bliss of fellowship from Bonhoeffer. Instead, he praises the daily practice of Bible reading, prayer, table fellowship and work. He recognized the huge impact of the truthful tongue, the listening ear, the helping hand, and other practical resources that sweeten Christian fellowship. To Bonhoeffer, life together brings with it a charge to tame our tongues. The tongue is too lethal a weapon to fail to keep it in strict training, for the sake of others. Life together also calls for singing together: “It is not you that sings, it is the church that is singing.” (p. 61). Life together also requires regular intercession: “I can no longer condemn or hate a brother for whom I pray, no matter how much trouble he causes me.“ (p. 86). Finally, Christian fellowship shows how the hand speaks louder than the mouth. It teaches us not place too much trust in verbal proclamation if our lives do not measure up. He ends the book with a challenge to practice the confession of sin. There can be no Christian fellowship where confession of sin is smothered or concealed. For Bonhoeffer, the worst sort of loneliness grips those who are alone with their sin. Since we are not called into Christian community in order to be lonely, we must practice confession. To withhold confession is the divide the bride of Christ. We can be together without confession but we cannot have life together without it. “God Himself taught us to meet one another as God has met us in Christ.” Dietrich Bonhoeffer, Life Together, p. 25. “By sheer grace, God will not permit us to live even for a brief period in a dream world. He does not abandon us to those rapturous experiences and lofty moods that come over us like a dream. God is not a God of the emotions but the God of truth.” Dietrich Bonhoeffer, Life Together, p. 27. “He who loves his dream of a community more than the Christian community itself becomes a destroyer of the latter, even though his personal intentions my be ever so honest and earnest and sacrificial.” Dietrich Bonhoeffer, Life Together, p. 27. “Just as the Christian should not be constantly feeling his spiritual pulse, so too, the Christian community has not been given to us by God for us to be constantly taking its temperature.” Dietrich Bonhoeffer, Life Together, p. 30. “Christian brotherhood is not an ideal which we must realize; it is rather a reality created by God in Christ in which we may participate.” Dietrich Bonhoeffer, Life Together, p. 30. “He who is alone with his sin is utterly alone.” Dietrich Bonhoeffer, Life Together. p. 110. 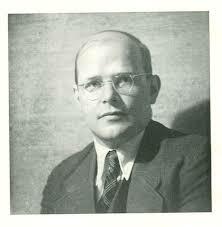 “When I go to my brother to confess, I am going to God.” Dietrich Bonhoeffer, Life Together. p. 112. Dietrich Bonhoeffer: A Biography. by Eberhard Bethge (Augsburg Fortress Publishers; Revised edition). 2000. Bethge’s exhaustive biography sets the standard for examining the life and passion of Dietrich Bonhoeffer. The Life and Death of Dietrich Bonhoeffer, by Mary Bosanquet (Hodder & Stroughton). 1968. Very thoughtful and readable. Bonhoeffer: Agent of Grace (1999). VHS; Directed by Eric Till (studio: Fortress Press). Joel Mark Solliday, M.Div., is the editor of Campus CrossWalk and the pulpit minister of the Brooklyn Center Church of Christ in Minnesota. A Pepperdine graduate, he later worked in their Campus Life Office and at ACU as a Missionary in Residence. He earned his M.Div. at Fuller Theological Seminary. It is by the grace of God that a congregation is permitted to gather visibly in this world to share God’s Word and sacrament (18). Imagine if the majority of American Christians understood what a God-given honor it is to come together for worship and mutual edification. .
Until then, God’s people remain scattered, held together solely in Jesus Christ having become one in the fact that, dispersed among unbelievers, they remember Him in the far countries. So between the death of Christ and the Last Day it is only by a gracious anticipation of the last things that Christians are privileged to live in visible fellowship with other Christians (18). As we lookforward to heaven, we can joyfully fellowship with out brothers and sisters. Jesus lived in the midst of his enemies. At the end all his disciples deserted him. On the Cross he was utterly alone, surrounded by evildoers and mockers. For this cause he had come, to bring peace to the enemies of God.